Scientists bypass stem cells to create nervous system cells | "Latest Stem Cells News"
Mouse skin cells can be converted directly into cells that become the three main parts of the nervous system, according to researchers at the Stanford University School of Medicine. The finding is an extension of a previous study by the same group showing that mouse and human skin cells can be directly converted into functional neurons. The multiple successes of the direct conversion method could refute the idea that pluripotency (a term that describes the ability of stem cells to become nearly any cell in the body) is necessary for a cell to transform from one cell type to another. Together, the results raise the possibility that embryonic stem cell research and another technique called “induced pluripotency” could be supplanted by a more direct way of generating specific types of cells for therapy or research. This new study, published online Jan. 30 in the Proceedings of the National Academy of Sciences, is a substantial advance over the previous paper in that it transforms the skin cells into neural precursor cells, as opposed to neurons. While neural precursor cells can differentiate into neurons, they can also become the two other main cell types in the nervous system: astrocytes and oligodendrocytes. In addition to their greater versatility, the newly derived neural precursor cells offer another advantage over neurons because they can be cultivated to large numbers in the laboratory — a feature critical for their long-term usefulness in transplantation or drug screening. In the study, the switch from skin to neural precursor cells occurred with high efficiency over a period of about three weeks after the addition of just three transcription factors. (In the previous study, a different combination of three transcription factors was used to generate mature neurons.) The finding implies that it may one day be possible to generate a variety of neural-system cells for transplantation that would perfectly match a human patient. Wernig is the senior author of the research. Graduate student Ernesto Lujan is the first author. While much research has been devoted to harnessing the pluripotency of embryonic stem cells, taking those cells from an embryo and then implanting them in a patient could prove difficult because they would not match genetically. An alternative technique involves a concept called induced pluripotency, first described in 2006. In this approach, transcription factors are added to specialized cells like those found in skin to first drive them back along the developmental timeline to an undifferentiated stem-cell-like state. These “iPS cells” are then grown under a variety of conditions to induce them to re-specialize into many different cell types. Scientists had thought that it was necessary for a cell to first enter an induced pluripotent state or for researchers to start with an embryonic stem cell, which is pluripotent by nature, before it could go on to become a new cell type. However, research from Wernig’s laboratory in early 2010 showed that it was possible to directly convert one “adult” cell type to another with the application of specialized transcription factors, a process known as transdifferentiation. Wernig and his colleagues first converted skin cells from an adult mouse to functional neurons (which they termed induced neuronal, or iN, cells), and then replicated the feat with human cells. In 2011 they showed that they could also directly convert liver cells into iN cells. “Dr. Wernig’s demonstration that fibroblasts can be converted into functional nerve cells opens the door to consider new ways to regenerate damaged neurons using cells surrounding the area of injury,” said pediatric cardiologist Deepak Srivastava, MD, who was not involved in these studies. “It also suggests that we may be able to transdifferentiate cells into other cell types.” Srivastava is the director of cardiovascular research at the Gladstone Institutes at the University of California-San Francisco. 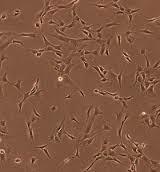 In 2010, Srivastava transdifferentiated mouse heart fibroblasts into beating heart muscle cells. “Direct conversion has a number of advantages,” said Lujan. “It occurs with relatively high efficiency and it generates a fairly homogenous population of cells. In contrast, cells derived from iPS cells must be carefully screened to eliminate any remaining pluripotent cells or cells that can differentiate into different lineages.” Pluripotent cells can cause cancers when transplanted into animals or humans. The lab’s previous success converting skin cells into neurons spurred Wernig and Lujan to see if they could also generate the more-versatile neural precursor cells, or NPCs. To do so, they infected embryonic mouse skin cells — a commonly used laboratory cell line — with a virus encoding 11 transcription factors known to be expressed at high levels in NPCs. A little more than three weeks later, they saw that about 10 percent of the cells had begun to look and act like NPCs. Repeated experiments allowed them to winnow the original panel of 11 transcription factors to just three: Brn2, Sox2 and FoxG1. (In contrast, the conversion of skin cells directly to functional neurons requires the transcription factors Brn2, Ascl1 and Myt1l.) Skin cells expressing these three transcription factors became neural precursor cells that were able to differentiate into not just neurons and astrocytes, but also oligodendrocytes, which make the myelin that insulates nerve fibers and allows them to transmit signals. The scientists dubbed the newly converted population “induced neural precursor cells,” or iNPCs. In addition to confirming that the astrocytes, neurons and oligodendrocytes were expressing the appropriate genes and that they resembled their naturally derived peers in both shape and function when grown in the laboratory, the researchers wanted to know how the iNPCs would react when transplanted into an animal. They injected them into the brains of newborn laboratory mice bred to lack the ability to myelinate neurons. After 10 weeks, Lujan found that the cells had differentiated into oligodendroytes and had begun to coat the animals’ neurons with myelin. “Not only do these cells appear functional in the laboratory, they also seem to be able to integrate appropriately in an in vivo animal model,” said Lujan. The scientists are now working to replicate the work with skin cells from adult mice and humans, but Lujan emphasized that much more research is needed before any human transplantation experiments could be conducted. In the meantime, however, the ability to quickly and efficiently generate neural precursor cells that can be grown in the laboratory to mass quantities and maintained over time will be valuable in disease and drug-targeting studies. “In addition to direct therapeutic application, these cells may be very useful to study human diseases in a laboratory dish or even following transplantation into a developing rodent brain,” said Wernig. In addition to Wernig and Lujan, other Stanford researchers involved in the study include postdoctoral scholars Soham Chanda, PhD, and Henrik Ahlenius, PhD; and professor of molecular and cellular physiology Thomas Sudhof, MD. 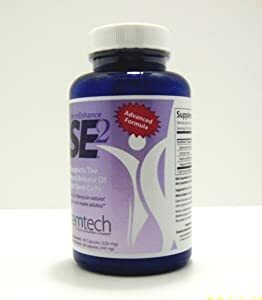 The research was supported by the California Institute for Regenerative Medicine, the New York Stem Cell Foundation, the Ellison Medical Foundation, the Stinehart-Reed Foundation and the National Institutes of Health.